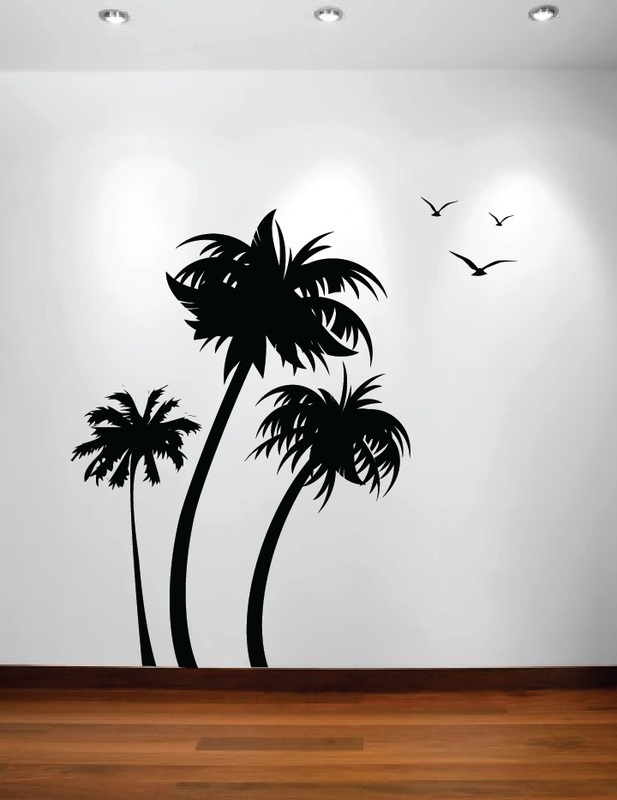 Click the button below to add the Palm Coconut Tree Wall Decal with Birds (3 trees) #1132 to your wish list. 3 Separate Trees and Birds can be arranged any way you want. We found this product easy to use. Good quality & looks just like the picture in order form or advertisement, which has not always been our experience with decals from another company. Bought this to update my son's room to a beach theme. Love that you can place the 3 trees in different places and love the ability to get different heights. Needed extra trunk for one tree and they were quick to respond and offer to send an extra 2ft for $10. Definitely would buy from this company again!! Arrived in only 3 days, easy to apply, and looks fantastic on the wall. 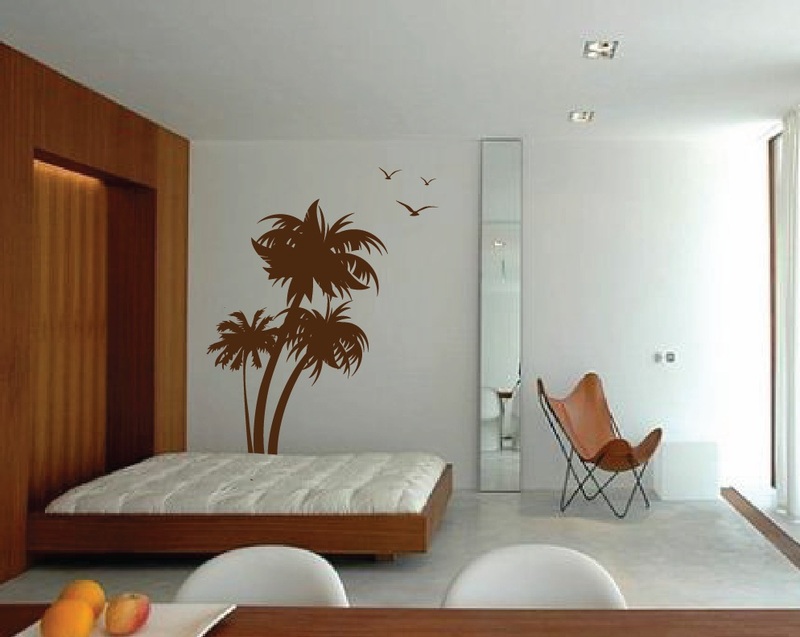 Can almost hear the surf and feel the breeze blowing through the palms in our tropical bedroom! Everyone who has seen it is very impressed. This is a great product from an even better company. I had a big, blank wall behind a couch and end table. A lamp and art was going to look too normal - this floor to (almost)ceiling decal was the perfect fit. 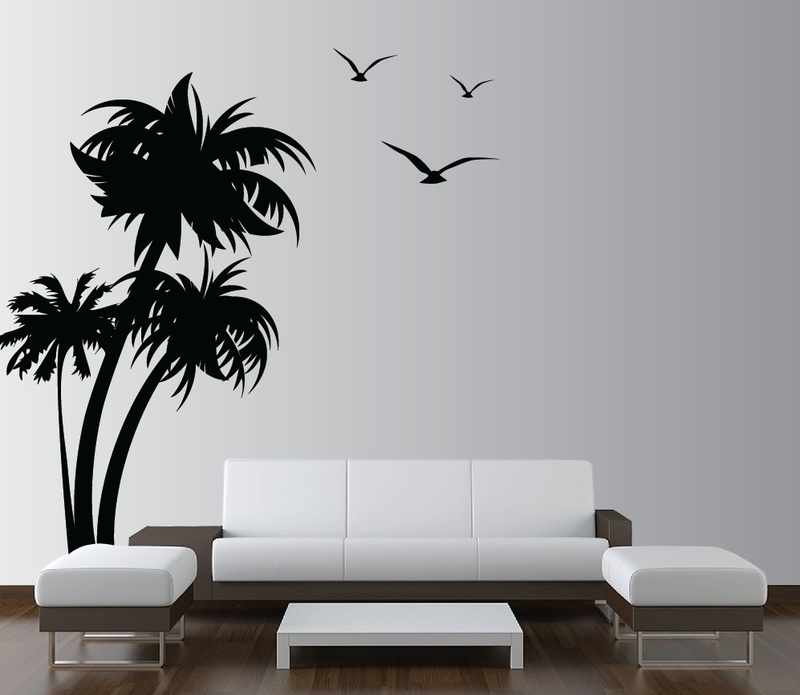 Night or day, walking up to the couch feels serene and beachy with the palm silhouettes in the background - the couch may as well be on a beach in Maui. It's not a single sticker that you can just slap up in 30 min with a friend. There are several pieces and I had a couple questions which innovative stencils thoroughly answered on the same day by e-mail.